This moisturizing formula with Caffeine, Antioxidant Vitamin C and tinted mineral pigments is specifically designed for normal-to-dry skin to give five skin-perfecting benefits: renews, brightens, evens skin tone, hydrates for 24hr and protects. Now it's quick and easy to get a healthy-looking, more even-toned complexion. Active Ingredients: Octinoxate 4%, Titanium Dioxide 2.1%. Inactive Ingredients: Water, Isononyl Isononanoate, Isohexadecane, Glycerin, Alcohol Denat., Peg-20 Methyl Glucose Sesquistearate, Methyl Glucose Sesquistearate, Cetyl Palmitate, Nylon-12, Cyclohexasiloxane, Propylene Glycol, Hydrogenated Polyisobutene, Stearyl Alcohol, Magnesium Aluminum Silicate, Phenoxyethanol, Caprylyl Glycol, Lithium Magnesium Sodium Silicate, Disodium EDTA, Linalool, Benzyl Salicylate, Limonene, Caffeine, Ascorbyl Glucoside, Benzyl Alcohol, Geraniol, Cellulose Acetate Butyrate, Polyphosphorylcholine Glycol Acrylate, Citral , Ammonium Polyacryloyldimethyl Taurate, Polyvinyl Alcohol, Sodium Chloride, Butylene Glycol, Sodium Hyaluronate, Fragrance; May Contain: Titanium Dioxide, Iron Oxides. Rated 1 out of 5 by Marjry from Color and Consistency I bought the same color I’ve used for years, but this formula is two shades lighter and pasty. It looks like glue. Rated 1 out of 5 by NikNakPattyWak18 from BRING THIS BACK!!!! For the love of God, bring this back and with the original formula. How many customers have to take the time to leave a review for someone to listen to them? Please, bring this back. Like, I'll beg if I have to. If you aren't, can you at least tell us who makes something similar to this product (the original formula, not the trash being sold now.) Please and thank you. Rated 1 out of 5 by Sad_oompa_loompa from What on earth My skin looked AMAZING with this B.B. cream until you changed the formula to orange colored water. AND the orange colored water DOESNT EVEN SMELL GOOD. Who works in product development? Fire them. It’s trash and your customer base clearly wants a quality product and not to have the rug pulled out from beneath them. I bought this and packed it away for vacation thinking it was the product I was used to and it ruined my trip having to walk around with oily Oompa Loompa skin. Listen to your customers, they’re obviously upset. Rated 3 out of 5 by Beespud from Too Orange but LOVE OTHERWISE! I love this product but it's too dark/orange for my skin tone. Can you please make a lighter shade?! Rated 1 out of 5 by Casey123 from Why mess with a good thing?! This new formula is awful. It’s so orange, runny, oily, and somehow still settles into my pores. It made me breakout the same day I started using. I LOVED the old version. Until you bring back I’ll be switching to another brand. Rated 1 out of 5 by Notimpressed13 from New formula is horrible! 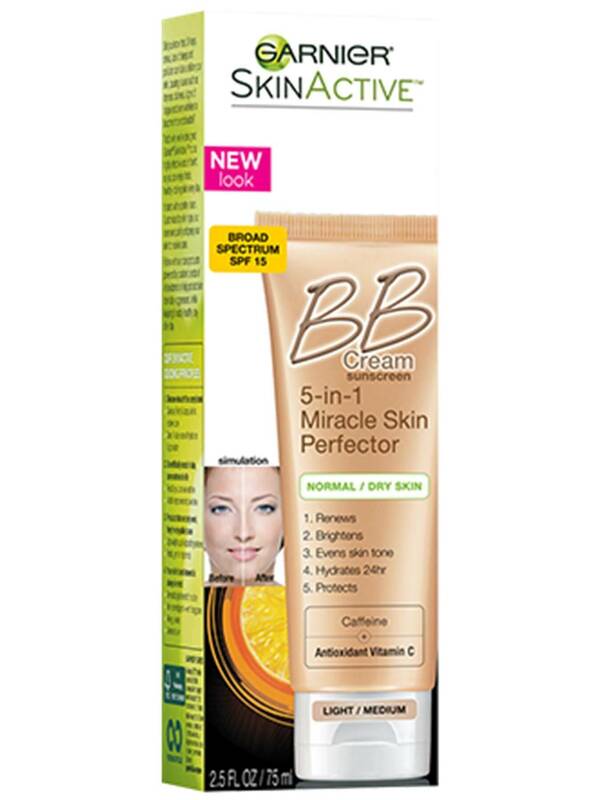 I have been using the BB cream for a couple years now and it was the perfect color and perfect finish! Unfortunately the new formulation is oily, orangish and doesn’t provide any coverage! So disappointed, I have to start my search for the perfect product all over again! Rated 1 out of 5 by KsNana from Please bring it back!!!! I have been using Miracle Skin Perfector in medium/deep since it first came on the market & loved it. The new anti-aging formula is too thick & orangey. Why did you change it? Please bring back the original formula. Rated 5 out of 5 by Annie 1338 from Please bring this back!!! I wore this daily for years and would always recommend it. But the new formula, I threw it away after a few days. It's the complete opposite of what this bb cream used to be. Please bring this formula back!